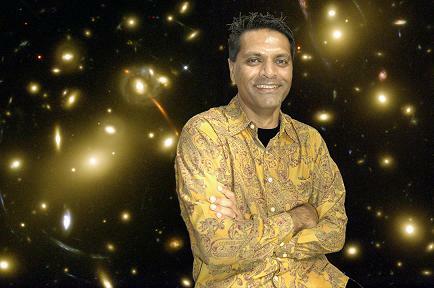 Professor Arif Babul studies the physics of the cosmos which asks – how did the universe begin? When – or for that matter will – it end? Answering questions about our very existence is often at the heart of Dr. Babul’s mind. Editor’s Note: Not being a student of astrophysics, and, in merely being an observer of the fascinating night sky, made me wonder whether I would be able to get through this interview with a truly remarkable and brilliant Muslim scientist. How time flew was mysterious; Professor Babul made it painless. During the process of the interview, I wished I had been able to traverse the universe in the time the interview took, instead of the trillions of years it would take us to cross this mighty and fascinating universe of ours – the “observable” universe that is. What else is out there, we still don’t know. In this enriching interview, Dr. Babul gives wonderful insights into his field of study, and does it in a fashion and a language that most of us will understand. As well, he talks about his upbringing and family, ventures into areas such as science and religion, presents his perspective about the message of Ismaili Imams about human existence, God and the relationship between intellect and faith, reviews the achievements of Muslim Scientists and particularly those who have inspired him the most (and why), and talks about his hopes and aspirations for the Ismaili community. He mentions his journeys around the world and shares his feelings of belonging to one brotherhood, which he experienced when he visited Dubai with his family for the Golden Jubilee of His Highness the Aga Khan. Simerg: Dr. Babul, it is an honour to interview you. You have been described as “one of the best Canadian astrophysicists, and a highly accomplished scientist whose research and publications in the formation of galaxies enjoys an international reputation for being original and keenly prescient.” This statement was made when a recommendation was going to be made to honour you with University of Victoria’s Distinguished Professor Award. How did you feel when you were being given this honour? Dr. Babul: That’s an interesting question. I was mildly excited when I first learnt about the award and from one perspective, it is nice to be recognized, but on the other hand the glow of these awards and honours is fleeting so it’s best not to take them too seriously. But this particular one was special in a very different way. My father had cancer and he was slowly deteriorating over the course of that year (2007), and when I learnt about the award I immediately called him and my mum up to tell them. In the back of my mind, this particular award stood as a testament to all the sacrifices that they had made when they left East Africa and struggled with a fairly hard middle class life in Canada in order to guarantee my sisters and I a better life. And so, in a way, I wanted to make my father know that his life had been a success. Simerg: Dr. Babul, in terms of your parents influence on your intellectual pursuits and the sacrifices they made, would you share some of your recollections from earlier days? Dr. Babul: I’ll speak first to my mother and then to my father. My mum came from a family dominated by five girls, and my grandfather encouraged all of them to go to school in the little town of Mwanza (Tanzania) where I was born. They were among the first girls to not only attend secondary school but also to write the A-level exams and pass them. So my mum was a sharp cookie – she used to compete with her elder sister for first place in their class annually – and I remember growing up, she was the one who’d be helping me with my math homework and schoolwork in general. And so that emphasis on education was really my mother’s influence; it was my mother who ensured – in a very hands on way – that my sisters and I did our very best. In fact, I remember that my father was doing very well in the cotton export business, and did not want to leave East Africa when we received our visas for Canada. And it was a tension filled few months because my dad felt that my mother and us should emigrate and he would just stay in East Africa and support us and send money, or, if my mum didn’t want to do that then we, the children, should be sent abroad to boarding school. But my mum was absolutely adamant that in order for the kids to get the best education, they needed to be in a secure environment and that required both parents and a stable home environment. And I remember this really well because it culminated with His Highness the Aga Khan’s (Mawlana Hazar Imam) visit to Kenya – I think it was either 1971 or 1972. We had an opportunity, like many other members of the Ismaili community, to meet with him. As we approached His Highness, my father decided that he would pose a question to Hazar Imam. And Hazar Imam, in his characteristically cryptic fashion, essentially advised my father that he really had no choice. Simerg: No choice with regard to what? So my father gave up a lot when he moved and it was up to us to make sure that the sacrifices were not in vain. My father had to leave school when he was eleven years old. His father passed away and in order to take care of his family business, he had to leave school and so he never had an opportunity to complete his education. Still, he was a remarkably smart and astute individual himself, a self-made man; he read extensively, and we used to have a library in Mwanza, of books that covered a whole range of subjects from philosophy to psychology to economics. He and his friends would discuss religion, theology, and philosophy, and at dinner time, my father would sit at the table and would challenge me to think – he would pose questions and I’d have to respond. I had to actually justify why I thought what I thought. And so there was a constant debate, but it was much later that I also learnt that part of doing well, even in academia, involves possessing a certain skill which I tend to call “being a Varnio.” It refers to that trader skill, that ability to negotiate, and manage circumstances around you to your own advantage. And my father was very good at that. I never felt that I had it in me, but I guess it eventually rubbed off. Simerg: Dr. Babul, you have referred to the fact that your mum and all her sisters were educated. Would you attribute that to the advice that the late Aga Khan (Mawlana Sultan Muhammad Shah) gave to the community about the importance of educating women? Dr. Babul: Absolutely. This is something that has come up often, and I think absolutely that my mum and her sisters’ education was directly the result of Mawlana Sultan Muhammad Shah’s guidance. There’s no question about it. What I do find fascinating is that my mother’s generation was the first to achieve this goal, but they only did it in the late 1940s, whereas Mawlana Sultan Muhammad Shah’s first firman* on this subject was much earlier – so it took the community several years to pick up the ball and start running with it. Simerg: Would you say you were born a scientist in view of what you have gone through in your life? That is, would you say science was in your blood? Simerg: Your work, in particular, is in the field of astrophysics. Can you tell us what it is about and what it is you specifically do? Dr. Babul: Well astrophysics is a broad subject. It is an effort to understand how our physical universe, starting with the solar system and right through to galaxies and stars, and even the universe as a whole, has come to be; why the cosmos is the way it is and why it behaves the way it does. And there’s a distinction between astrophysics and astronomy that’s worth noting. Astronomy refers to the science of actually observing and collecting data, and trying to determine what is out there. Astrophysicists, on the other hand, are theorists in the sense that they take the understanding of the laws of nature that we have from various different areas of physics and apply it to cosmic phenomena in order to understand it. In a way our job is to construct a narrative. Shown a star, for example, an astrophysicist would start thinking about why the star is shining, what’s happening inside the star, how that Hydrogen is being converted into Helium, and why it’s radiating and giving off so much energy. He or she would tell you the whole story about how the star formed, how it changed over time, what will happen to it as time goes on, and how it will end its life. So it is with galaxies like our very own Milky Way and even large structures that populate the universe. My own work focuses on galaxies and cluster of galaxies, the largest cosmic structures in the cosmos. Simerg: And you go to elementary schools and talk to the kids about these things, correct? Dr. Babul: I do; I give lectures to elementary schools, particularly when they’re doing an Astronomy module. I also give public lectures to a general audience. I enjoy that very much because of the response I receive. The general public is fascinated and deeply drawn to issues having to do with the cosmos and our place in it. Simerg: The universe itself and its creation are very interesting fields of study and have occupied the minds of philosophers and scientists alike for thousands of years. Do we know when the universe was first created? What happened in the initial stages? Dr. Babul: Well yes, we do now. As far as the universe itself is concerned, it was in 2002 that we’ve been able to pinpoint the age of the universe to be 13.7 billion years. 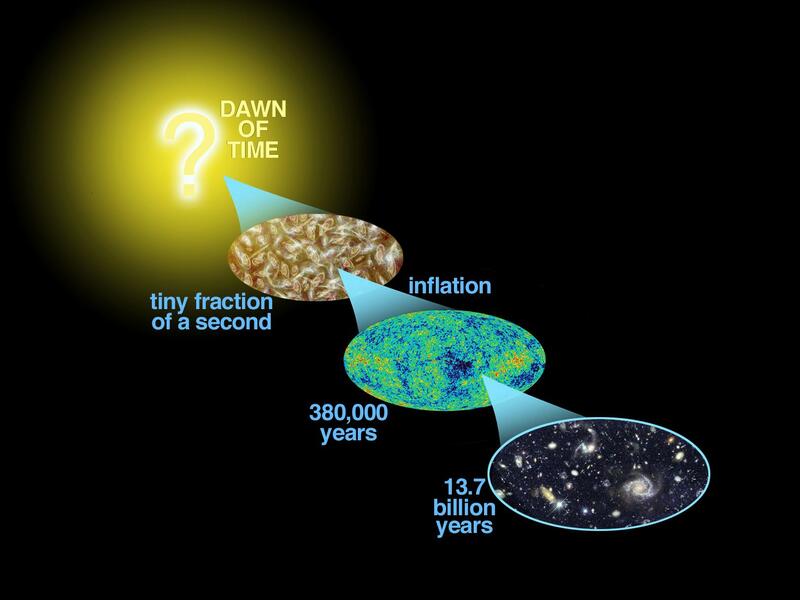 So we have a pretty good idea now of how old our universe is. Simerg: So there is unanimity in the scientific community about the age of the universe? Dr. Babul: Yeah, well this was determined observationally. A group of scientists led a mission to send up a satellite in 2001 that measured the microwave background, relic radiation that is the afterglow of the Big Bang. From this, they were able to figure out things like how old the universe is, how fast it’s expanding, whether or not it’s slowing down or speeding up, the amount of matter in the universe, and more. Simerg: So technology facilitates the understanding and comprehension of our universe in a very significant manner? Dr. Babul: Well, technology definitely assists in several ways. In the case of observations, the advances in technology are critical in designing ever more sensitive detectors. 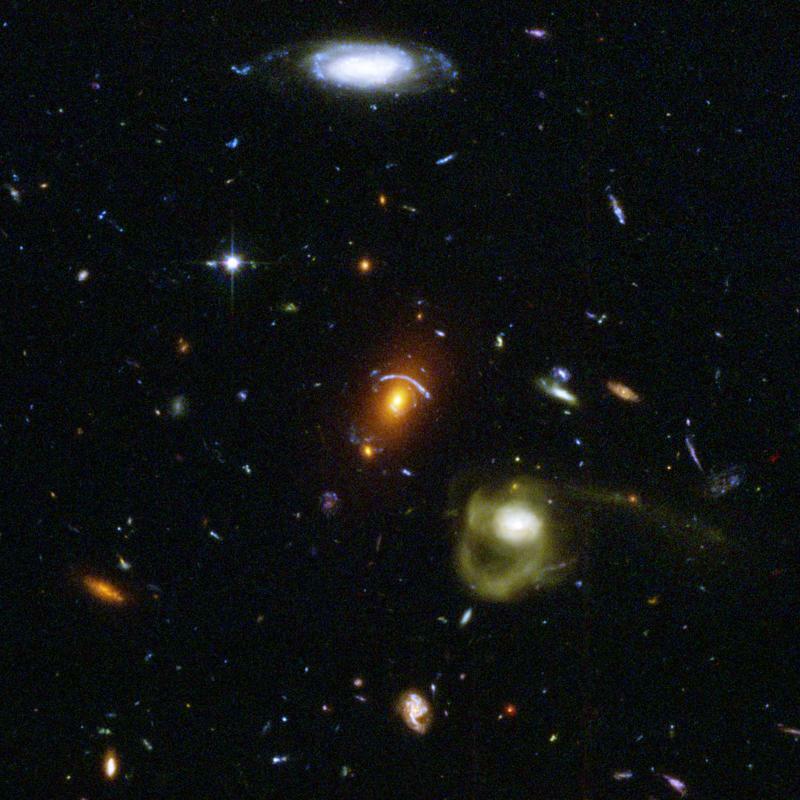 With sensitive telescopes like the Hubble Space Telescope and the Canada-France-Hawaii Telescope, we can see objects today whose light left those objects when the universe was a tenth of its present age. Looking through a telescope is like drilling an ice-bore in the Arctic. As you drill, you come up with a column of ice, and the ice at the bottom is the oldest ice, and as you come up to the surface you get younger ice. And scientists use that to examine the conditions on Earth billions of years ago. So here we’re using light to do that. So as you look through a telescope, the closest objects you see are the youngest in the sense that we are seeing them as they were 4, 10, 100 years ago because this is how long it has taken light to reach us. The further you go, the more backwards in time you’re looking. The most distant objects are so far away that it has taken light billions of years to reach us. So when we look at those objects, we are seeing the universe the way it was back then. The most distant objects are, however, extremely faint. So the development of sensitive detectors is extremely important. The $1.5 billion Hubble rocketed to space aboard the space shuttle Discovery on April 24, 1990. It’s named after Edwin Hubble, a pioneering American astronomer who furthered our understanding of other galaxies and demonstrated that the universe is continually expanding. About the size of a large school bus, the Hubble orbits at a speed of five miles per second, 353 miles above Earth. At that velocity it can circle the globe in an hour and a half. Technology is also critical for theorists like myself who spend out time trying to understand the complex web of physical processes that have shaped the observed universe. Computer and especially supercomputers are indispensible in this task. We use these to reproduce, virtually of course, thirteen billion years’ worth of cosmic evolution in a matter of weeks. 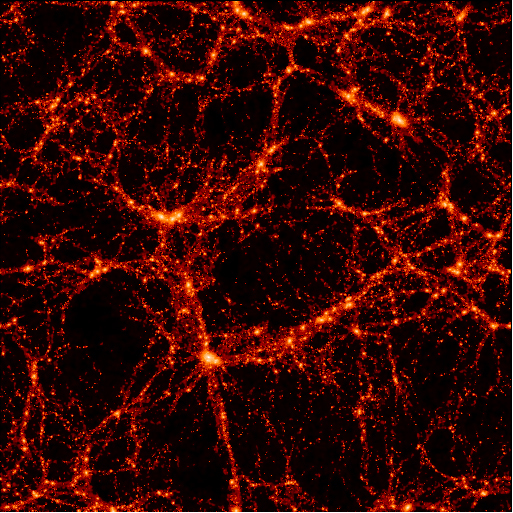 Simerg: This whole aspect of the distances in the Universe – in terms of billions of light years – is just incredible. What other areas of human endeavours or aspects of science fascinate you? Babul: Astrophysics and cosmology – cosmology is my particular area of study, which is the study of the universe on a large scale – are extremely fascinating areas but there are many other fields of study which are equally remarkable. For one, I find the study of life, its origins and how it has evolved to be fascinating because it shows you how tenacious life is. What truly caught my attention in the last two years is that people study life underwater and what they find is that as far down as you go, where there is no sunlight, there is still life, and wherever there are little bubbling underwater vents that are bringing up steam and magma from deep underground, there is a little pocket of energy, and there life congregates. Just the idea that no matter how hostile the environment, life is there, and the fact that it manages to establish itself there is just amazing. 1. Khudavind – a term the Ismailis use as mark of respect and intimacy when addressing their Imam on an individual basis – either verbally or in other forms of personal communication, such as letters. 2. Firman – from the Persian farman, or ferman in Turkish, meaning royal decree or order. Also: The current Ismaili Imam (His Highness the Aga Khan IV or Prince Karim Aga Khan) is affectionately addressed as Mawlana Hazar Imam or Hazar Imam by members of the Ismaili community. 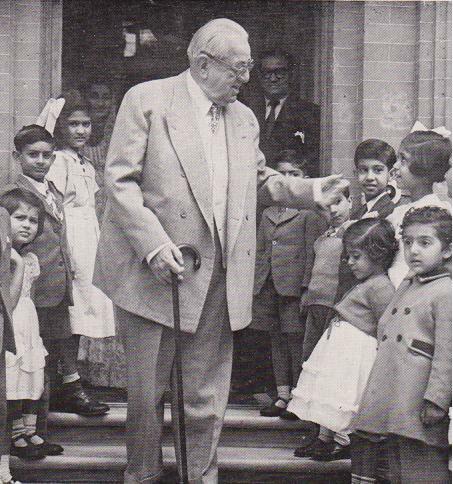 The late Aga Khan, the grandfather of the present Imam, who led the community for seventy two years, is referred to as Mawlana Sultan Muhammad Shah. He became the 48th Imam of the Shia Imami Ismaili Muslims when he was only 7 years old. He died on July 11, 1957 and passed the Imamat to his grandson, Prince Karim. Acknowledgements: The editor is grateful to Rian Dewji, a First Year Student at Queen’s University, Kingston, Ontario, for preparing the transcript of the interview, and for providing editorial assistance in finalizing the interview. I found the first part of this interview to be extremely fascinating. Dr. Babul is evidently very well-educated and knowledgeable about the world; it is clear that his knowledge extends far beyond the realm of cosmology and science. Very enlightening, and well worth the read. This is indeed an eye-opening interview.